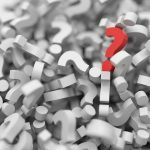 Can an Employee be Terminated for Criminal Conduct Outside Work? A recent decision by the NSW Industrial Relations Commission has sought to explain whether and, if so, when an employee can be terminated for a criminal record received for conduct that occurred outside the context of employment. The case of William James Sandilands v Industrial Relations Secretary on behalf of Legal Aid NSW  NSWIRComm 1051 involved a 63-year-old man formerly employed as a solicitor with the Legal Aid Commission for three decades. Mr Sandilands commenced employment as a solicitor in Legal Aid’s Criminal Law Division in 1986. In 1992, he was promoted to the position of Solicitor Advocate, and in or around 2000 he received another promotion to the position of Senior Solicitor Advocate. On 13 June 2016, he was charged with assault occasioning actual bodily harm in respect of an altercation with his estranged wife, and an application for an Apprehended Domestic Violence Order (ADVO) was made against him. He promptly informed his employer of the proceedings against him. 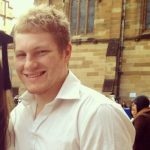 He pleaded not guilty to the criminal charge and opposed the ADVO, but was ultimately convicted by a magistrate in Penrith Local Court on 24 January 2017, who sentenced him to a 12 month good behaviour bond under section 9 of the Crimes (Sentencing Procedure) Act 1999 and ordered a final ADVO against him for 12 months. Mr Sandilands informed his employer of the conviction the next day. He appealed the conviction, sentence and final ADVO. On 9 February 2017, the Legal Aid Commission suspended Mr Sandilands from his employment without pay. Notably, the employee had a good work history without conduct issues. On 28 September 2017, a District Court judge upheld the conviction but imposed a good behaviour bond without conviction under section 10 (now known as a ‘conditional release order’) in lieu of the section 9 bond. His Honour also reduced the ADVO to 4 months. On 13 October 2017, the CEO of the Legal Aid Commission sent Mr Sandilands a letter explaining that he considered the incident to amount to misconduct which warranted disciplinary action, advising he would nevertheless be back-paid and inviting the employee to respond within 14 days. On 1 December 2017, the CEO decided to terminate Mr Sandilands’ employment. The employee then appealed his dismissal to the Fair Work Commission on the basis that it was harsh, unreasonable or unjust because there was not a sufficient link between his conduct and his employment. To support the application, Mr Sandilands pointed out that he had an unblemished employment history and was able to perform his work functions to a high standard. He further noted that his employment was in the area of drug and robbery offences, and had nothing to do with domestic violence cases. (f) such other matters as the Commission considers relevant. The Commission considered sections 7 and 69 of the Government Sector Employment Act 2013 (NSW). (a) Consider people equally without prejudice or favour. (b) Act professionally with honesty, consistency and impartiality. (c) Take responsibility for situations, showing leadership and courage. (d) Place the public interest over personal interest. (a) Appreciate difference and welcome learning from others. (b) Build relationships based on mutual respect. (c) Uphold the law, institutions of government and democratic principles. (d) Communicate intentions clearly and invite teamwork and collaboration. (e) Provide apolitical and non-partisan advice. (a) Provide services fairly with a focus on customer needs. (b) Be flexible, innovative and reliable in service delivery. (c) Engage with the not-for-profit and business sectors to develop and implement service solutions. (d) Focus on quality while maximising service delivery. (a) Recruit and promote employees on merit. (b) Take responsibility for decisions and actions. (c) Provide transparency to enable public scrutiny. (d) Observe standards for safety. (e) Be fiscally responsible and focus on efficient, effective and prudent use of resources. (d) a conviction or finding of guilt for a serious offence. The subject matter of any misconduct by an employee may relate to an incident or conduct that happened while the employee was not on duty or before his or her employment. serious offence means an offence punishable by imprisonment for life or for 12 months or more (including an offence committed outside New South Wales that would be an offence so punishable if committed in New South Wales). (b) the procedural requirements for dealing with allegations of misconduct by employees of government sector agencies (consistently with procedural fairness). (g) caution or reprimand the employee. There was a sufficient link between the misconduct and employment to warrant dismissal. He came to the view that, “Legal Aid has a legitimate interest in protecting its reputation” which was threatened by the serious nature of the crime. In reaching the decision, the Commissioner noted that Mr Sandilands had been afforded procedural fairness through being invited to make written submissions to ‘show cause’ as to why he should retain his employment. The decision makes clear that an employer can terminate an employee for criminal conduct that occurred outside the workplace provided that procedural fairness is afforded, the employer has a legitimate interest in protecting its reputation and the conduct may adversely affect that reputation and/or the employer’s commitment to upholding stated values. That said, it might be noted that an employer does not have a general right to terminate an employee who commits a crime outside employment. Rather, employers are required to provide an employee with the opportunity to ‘show cause’ and assess all relevant matters in an objective manner. Whether the conduct may impact on the reputation, objectives or profitably of the employer. The case of James Deeth v Milly Hill Pty Ltd  FWC 6422 seeks to explain the starting principle of relevance. The facts of the matter were that apprentice butcher, James Deeth, was dismissed by his employer, meat supplier Milly Hill, after being charged as an accessory to murder after the fact. When Mr Deeth was granted bail, the director of Milly Hill, Peter Strelitz, contacted the employee’s parents to express his concerns about the reputational damage likely to be inflicted by their son’s criminal charges. The Senior Deputy President of the Fair Work Commission made clear that, “There is no presumption that a criminal conviction alone is a valid reason for termination of employment, particularly where the criminal offence was committed outside of work. Even conduct outside of work involving criminal offences does not, alone, warrant dismissal”. Rather, there must be a relevant connection to the employment. The Commission concluded that Milly Hill had a legitimate basis for being concerned about the reputational damage that could ensue as a result of the proceedings. However, it looked at a range of other factors before making its ultimate decision. As stated, the Legal Aid Commission in the case of Mr Sandilands gave its employee an opportunity to make submissions as to why he should not be dismissed – an invitation the employee did not accept. This did not occur in the case of Mr Deeth. The Commission in that case made clear that an employer must follow appropriate pre-dismissal processes that provide a degree of procedural fairness, even if the misconduct is serious, or face a sanction such as a compensation order. The employer had failed to “put sufficient thought” into whether it could retain the employee and still “mitigate the perceived risks in relation to its employees and customers”. The Commission accepted that the employer held a belief at the time of the dismissal that the employee’s actions “were sufficiently serious to justify immediate dismissal”. However, it found the employer lacked reasonable grounds for the belief as it failed to take appropriate steps to “reasonably investigate the matter”. 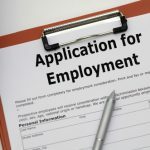 Should Employers be Allowed to Discriminate based on a Criminal Record? 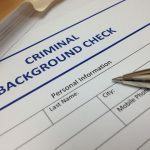 What Information Comes Up in a Criminal Record Check? 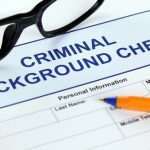 Can Employers Discriminate on the Basis of your Criminal Record? Should Those with Criminal Records be Allowed to Become Teachers? How Do Red Light Cameras Work?